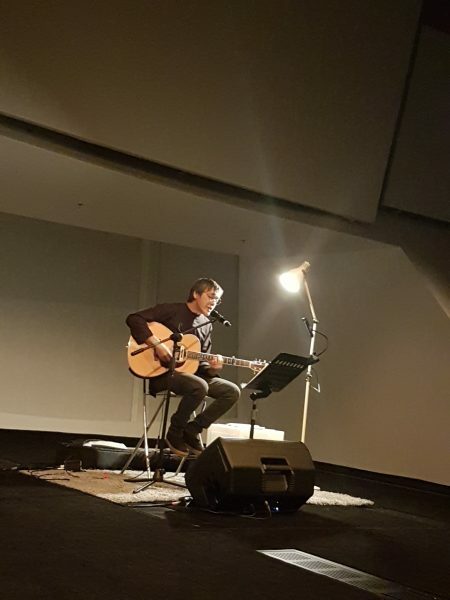 When Leslie Low – of revered Singapore band, The Observatory, and previously from the 1990s’ Humpback Oak – was introduced by an ArtScience Museum staff as “the most important singer-songwriter that Singapore has given the world,” he seemed almost embarrassed. But, for the many fans gathered at the museum’s Expression Gallery, such high praise was no fluff. Singapore indie music as an art form is still fairly young. Even the National Arts Council has in the last couple of years recognized Singapore indie music as a viable art form deserving of financial support. Despite all this, Singapore has in the last twenty years seen true indie music artists develop their craft to such an extent that acceptance at home has inevitably followed recognition overseas. 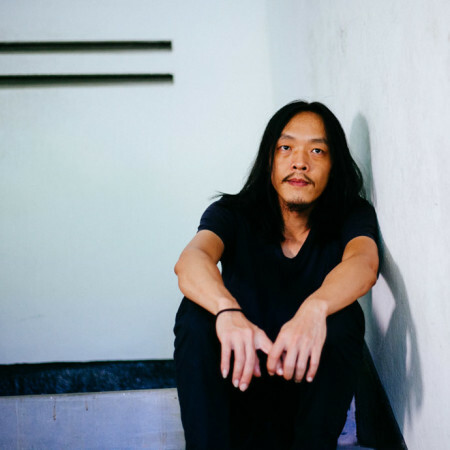 Amongst them, perhaps singer-songwriter Leslie Low is most worthy of the accolade of ARTIST OF THE YEAR for all that he has achieved within and without the Singapore indie music scene in 2014 (and the two decades before that). As a key member of Humpback Oak & The Observatory (and various other side-projects) and as a solo artist, Low has constantly been on the vanguard of indie-art-rock. 2014 saw not only the release of The Observatory’s Oscilla album but also the solo efforts Longing and No such thing as ghosts. In addition, with The Observatory, Low has also played the role of curator/event organizer – providing Singapore with insights into fresh musical forms. We caught up with Low recently to get his thoughts on 2014. PoP: It’s been 20 years since the release of Pain Stained Morning (Humpback Oak’s debut album), where do you see your current work in the context of that? Low: I’ve recently been reminded that it has been that long. Was doing a tour of living rooms and had to relearn my older repertoire of songs, a lot of memories came flooding back, locked up in the dark corners of these old songs. It was daunting initially, drudging back all those moments of my life. Re-living all those experiences. It felt pretty emotional and cathartic as the tour went on. I guess I was asking for it. When No such thing as ghosts was made, there was a conscious decision to revisit the past. Even the microphone used was one of the mics I used to record with during the Humpback Oak days. So it sounded familiar to begin with. And easier to take that trip back in time. Over the years, I’ve tried different approaches mostly informed by the people I make music with or by whatever I was into in that point of my life, and also personal experiences and relationships that play a huge part in shaping the emotional content of the work. It seems to all lead back to the heart and the mind. How it makes you feel above and beyond what the words may mean on paper. I think that still remains true today. PoP: You were very involved in the Singapore arts/music scenes in 2014, are you optimistic that the scenes will develop further in the years to come? If so why? Low: I think we have no choice but to evolve and grow. That is the natural way. Putting a stop to it would be unnatural. PoP: From a third party perspective, 2014 seemed like a very good year for the Observatory and yourself – how was it for you? Are you personally satisfied with what you have achieved this year? Low: It has been quite a long year of changes, ups and downs. It was an emotional roller-coaster to say the least. Despite all the difficulties, we still managed to finally release the songs we have been developing for about a year culminating in our 6th album, Oscilla. That felt good after we released it. My ears were shot by then from mixing. Our buddy Johnny Sarcophagus recorded us in our own rehearsal space. We could just focus on the playing in the comfort of our own space. We also toured twice this year with new band mates Wai and Cheryl, and it was Dharma’s last couple of tours with us. Still we managed to gain some ground musically and grew into our own as a new unit. I feel quite fortunate to be able to do this actually. Touring is a fairly recent thing for me, and as much as I enjoy staying put, being on the road chases the blues away, constantly slipping into the cracks of time. PoP: Looking back, what were the highlights of 2014 for you? Low: The recent Flux and Formlessness Tour with The Observatory was a highlight for me. It was gruelling with a lot of driving and train hopping but with the material on Oscilla, the highlight has always been playing the songs live. It’s probably the first album that I hardly listened to after it was mixed, other than checking the masters, because gigging the songs live has been a much bigger preoccupation. On the side with my solo stuff, it was a pleasure to have worked Jeremy, Tini and the Diarists team. It was quite an experience finally getting to meet different circles of people, friends in their cosy living rooms. It’s the closest I’ve come to touring Singapore. PoP: What have you got planned for 2015? Anything you’d like to announce at this point? Low: Hopefully a new record with this current line-up with Yuen Chee Wai, Cheryl Ong, Vivian Wang. January will feature two of our continuing projects, Anitya // Skandhas and Otomo Yoshihide & the Playfreely Ensemble and Far East Network (FEN) coming up. In February, we will be heading to Japan for a mini-tour with our friends from MOE. Only one contender for PoP Album of the Year. JPNSGRLS epitomizes the best hope for the continuing history of Rock ‘n’ Roll even as the tsunami of prefabricated pop threatens to wipe our beloved music off the face of the earth. Nothing remotely hipster-ish about Circulation and thank GOD for that! Find out why below!! Other Sounds is presenting American singer-songwriter and guitarist Bill Callahan in Singapore this November. Callahan is probably best known for his work in the lo-fi genre of underground rock, with home-made tape-albums recorded on four track tape recorders. Leslie Low will provide support. Ahead of Leslie Low‘s highly anticipated solo release No Such Thing As Ghosts, The Diarists are putting together a series of small, personal shows to promote the album. Cozy up in a living room, an independent venue or a workspace, in Singapore and Malaysia, Leslie Low will perform songs from the new album up close, as it’s meant to be heard. These performances create an emotional experience for both musician and listener, bringing music to fans and audiences in the purest, most intimate way. Besides material from No Such Thing As Ghosts, Leslie will also be playing songs from his earlier releases. If you would like to be part of this initiative, please contact us via email at thediaristsessions@gmail.com and in the meantime, enjoy this video as Leslie performs “Despair”. 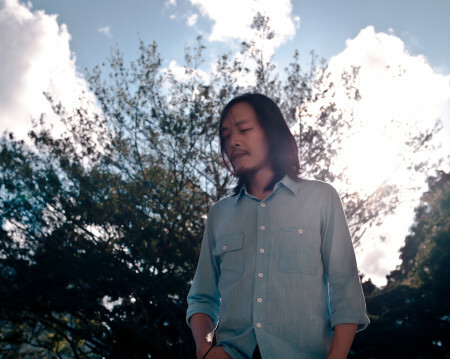 Leslie Low released an instrumental album earlier this year which flew somewhat below the radar for most #sgindie fans. 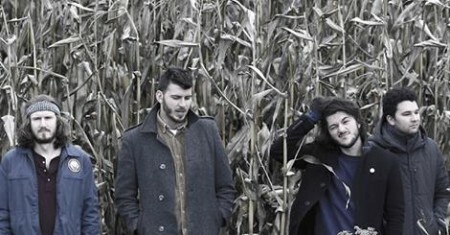 But now Low is back with an album of ‘proper’ songs that absolutely nobody should ignore. Based on the tracks previewed at Bandcamp, the album – No Such Thing as Ghosts – is typical Low fare. Meaning that it is sophisticated indie folk songwriting of the highest order expressed purely via voice and acoustic guitar. The Observatory frontman releases the album in several formats in September. Find out more.